A fashionable travel pouch with space for your passport, credit cards and currency. 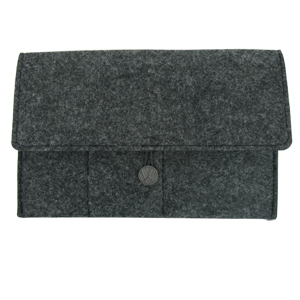 Comes with 3mm dark grey felt and a metal button closure. 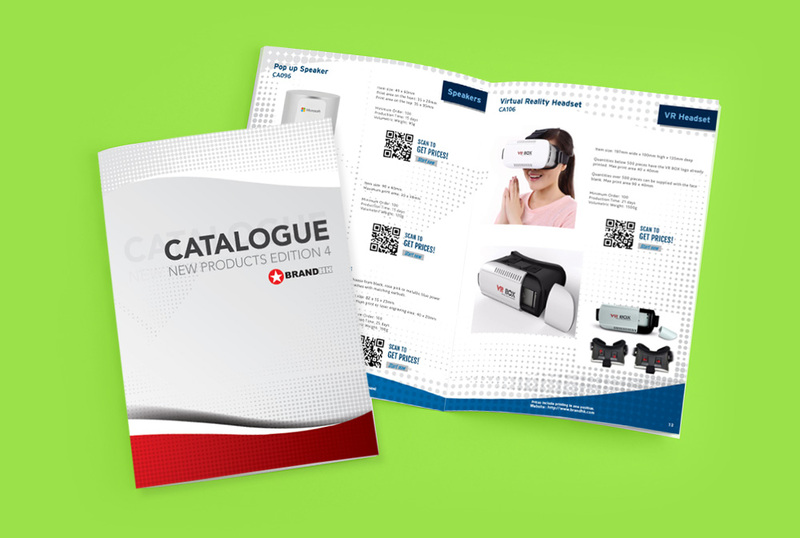 Add your brand with a discreet side tag which can be in full colour at no extra cost. The back section is large enough to hold an ipad mini or a Galaxy Tab. Pouch size: 235mm wide x 145mm high x 12mm thick. Prices below include a full colour side tag and a neutral metal closure button. 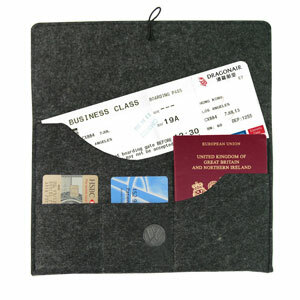 Felt travel wallet. 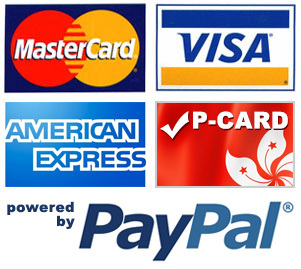 Designed to hold passport, credit cards and currency. Ideal promotional souvenir.